Another place to have Boats 4 Sale~! Home › Forums › Bass Cats For Sale › Another place to have Boats 4 Sale~! This topic contains 17 replies, has 14 voices, and was last updated by admin 3 months, 1 week ago. 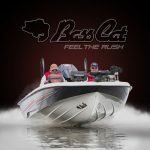 The Bass Fishing Home Page has a boats for sale page. Few of you BCB owners use it anymore since we set this site up. Often those looking for a BCB dont come over here, so we are not reaching out to others looking for a BCB. Here is that link! Bass Fishing Home Page – Boats for Sale!Other sites are the Pro Bass Network, NCBF, Fishing World, Bass Boat Central, http://www.UsedBoats.com, Texas Fishing Forum, bassfishingworld.com, some Federation sites, and there are plenty more sites to post a boat for sale on that work.Hope this helps!BCBLast edited by Bass Cat Boats on May 25th, 2011, 12:19 am, edited 2 times in total. does BCB run or have control over http://www.impactfishing.com website? All that is there is BC boats. thanks, i just bought my first Cat (retired my Ranger) from that website and was just wondering. All the descriptions are wrote in a similar fashion so i knew it had to be owend by a single identity. Cant figure out how to post on the main forum, but live in central Texas and am looking for a 2000- 2004 Bass Cat boat with cash in hand prefer under 12K , willing to drive some distance to close a deal on a clean boat. Email at [email protected] thanks Fred Last edited by lowebigjon on June 10th, 2012, 5:58 pm, edited 1 time in total. Question for BCB, how many 2003 Jaguars were built? I would like to find one with white or light color cap and tan carpet. go to Anglerhub.com, free classifieds there and a pretty awesome sit as well. Just posted my Margay for sale. Great West Coast Boat Sales page here.